Who is your پسندیدہ Peanuts character? Why Peanuts girl is آپ favorite? What's your پسندیدہ Charlie Brown quote? Do آپ think Lucy was mean? If آپ were to feature the original Patty alongside Patricia "Peppermint Patty" Reichardt, what would آپ like to call her as part of divergent character evolution in terms of naming? Besides Peanuts, which other newspaper comic strips do آپ enjoy? Hi guys, I watched this movie in December last سال with my younger brother and I am very impressed سے طرف کی it. So here is my review on it. I absolutely love Snoopy and his friends, in fact I was very blessed that my brother took me to see this movie back in Malaysia. The movie as آپ all know was in 3D and in fact they all look quite amazing in 3D form despite that I miss their 2D appearances! Hello, fellow Peanuts fans! I've just watched the new Peanuts movie (in 3D) and thought I'd write up a review while the whole experience is still fresh in my mind. First off, I'm just gonna state the obvious and warn آپ that this review will contain some spoilers, particularly when I'm talking about the story. 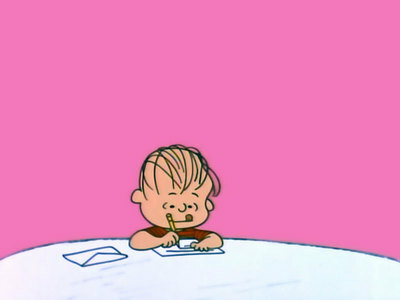 a pop quiz question گیا دیا کر شامل: Who had a crush on Charlie Brown? a pop quiz question گیا دیا کر شامل: What is Peppermint Patty's real name? a pop quiz question گیا دیا کر شامل: Peppermint Patty sings to who in Snoopy The Musical? a pop quiz question گیا دیا کر شامل: Who refers to Lucy as "Lucille"?